Handpainted 16# diameter wooden charger. 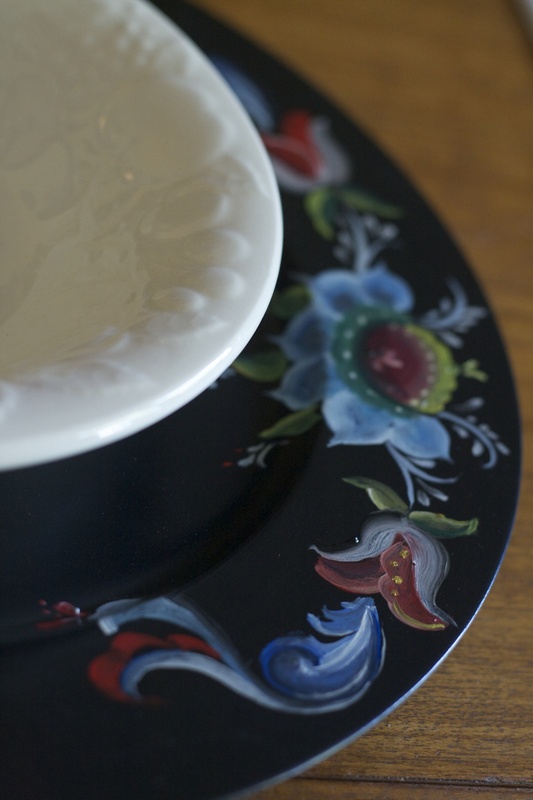 Painted in the traditional rosemaling style with a contemporary edge. Perfect with vintage or modern dinnerware. One of a kind. Heirloom. Custom chargers may be ordered. Please inquire. Each charger is varnished but is NOT dishwasher safe nor for plating food.